The San Antonio Spurs are one of the most successful NBA franchises today and, as with other major sports teams, a lot their success is due to the support of their fans. 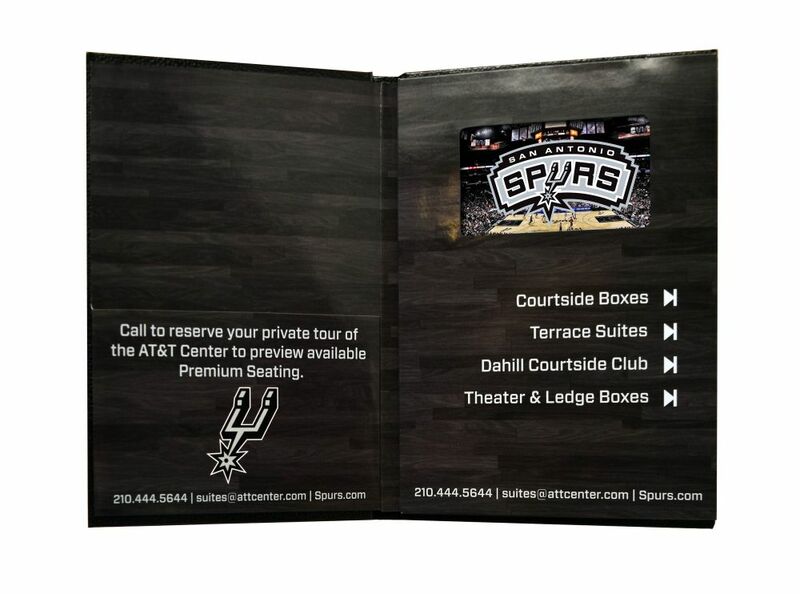 With a newly renovated AT&T Center, the Spurs Sports & Entertainment marketing team wanted to run a direct mail campaign that would promote the new premium seating options available to the Spurs' loyal fans. The goal of the campaign was to create excitement about the new arena and to showcase the new “premium” experiences the new arena had to offer. 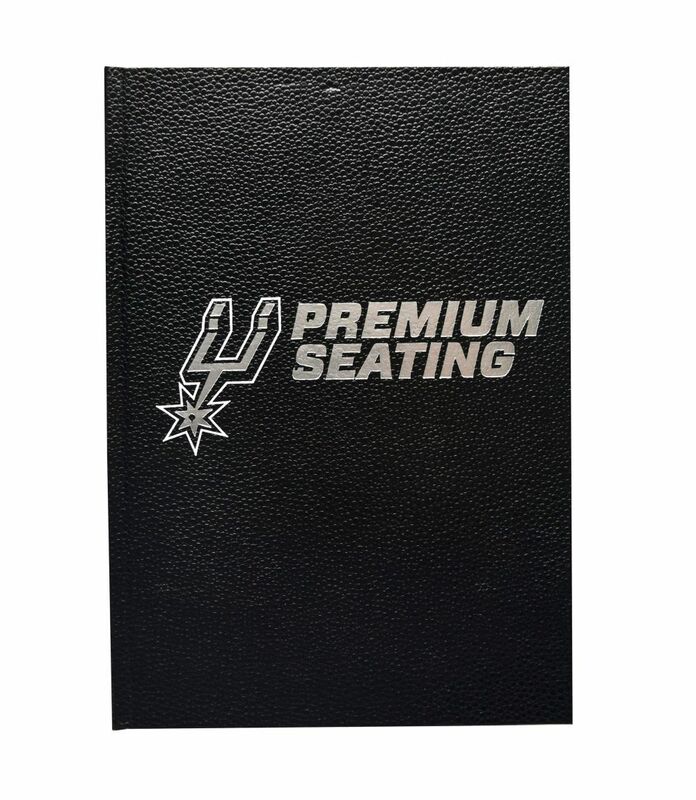 Having seen our Video in Print technology from our collaborations with the NBA and several other NBA teams, the Spurs Sports marketing team wanted to follow the same game plan and decided on a 6 x 9 hardbound video book that incorporated our patented technology and design. The book opened up to Americhip’s proprietary 4.3” LCD Screen that automatically played an intro video. There were also 4 additional chapter buttons that played content featuring the premium seating options which included courtside boxes, terrace suites, the Dahill Courtside Club, and the theater & ledge boxes. The inside cover of the video book had a custom pocket for additional print collateral detailing the features and pricing of the new premium options. The Spurs Video Book cover was also produced with a basketball grain material, similar to the look and feel of a basketball, creating another sensory experience that basketball fans were sure to appreciate and remember. 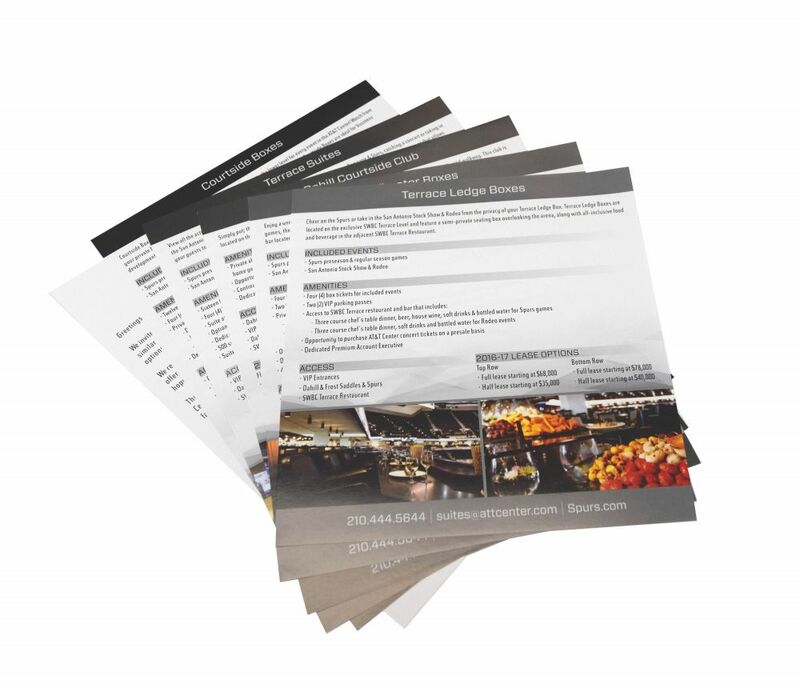 Enhance your next print campaign and deliver a truly engaging experience that is sure to impress and influence.